An ALL-NATURAL deodorant that works! Ever since I became aware of Aluminum in deodorant, I've been trying natural deodorants. I've tried everything, including making my own. The deodorant I made worked for a couple of months but then for some reason stopped working. So back to the drawing board I went. I tried all natural deodorant at Natural stores, I ordered special deodorants online...but nothing worked. Then I tried this deodorant from Thrive Market and it worked. Thai Crystal Deodorant Mist. What I LOVE about this deodorant is that there is NO aluminum, alcohol or chemical additives. It's purely natural! And I don't smell body odor with this deodorant. Plus, I get to add my essential oils to it! It's a spray deodorant that I add Lavender and Clary Sage to. It smells great with the oils and Lavender is very soothing to the skin while Clary Sage may support female hormones. This deodorant really works. And it's only $3.95 when you become a member of Thrive Market! It comes in a huge bottle that will probably last me a year (I'll update you as soon as I see how long it lasts). IF you'd like to learn more about essential oils, please contact me at lovemyoils15@gmail.com for FREE samples! I'm so excited about this NEW Essential Oil from DoTerra. It's called Copaiba. It's derived from the resin of the Copaiba tree in South America. It has been used by the Natives since the 16th century. And more....Go to Pub Med and type in Copaiba to see for yourself! Chiropractors will love this to help their patients with PAIN. You might want to also check out the website www.aromaticscience.com for more info. DISCLAIMER: These statements have not been evaluated by the FDA and are not intended to diagnose, treat or cure any disease. Always consult a medical professional. 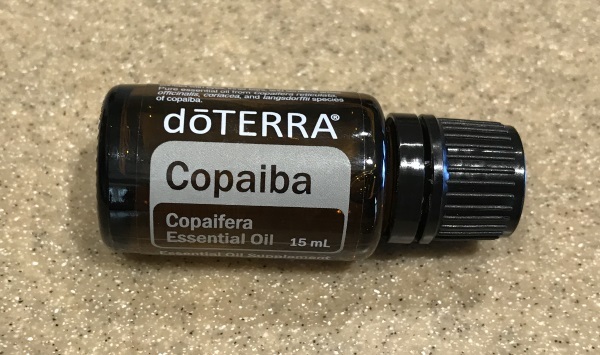 Would you like to start offering Copaiba essential oil to your patients? I can help you easily incorporate essential oils into your clinic, including Copaiba and a whole lot more. I can show you how to get wholesale pricing and I offer training and support so you can easily get started helping your patients and even growing your practice. All while creating an additional passive income. My name is Lisa Hepner and I have a Bachelor of Science degree in Biology and worked in the medical field as a Nuclear Medicine Technologist for almost 20 years. Now I get to pursue my passion of helping Chiropractors and Naturopaths incorporate essential oils into their clinic to benefit their patients and their practice! I work solely with alternative health professionals. When you work with me you will be supported by a team of fellow doctors! A consistent challenge for most Naturopaths is to find ways to support their patients BETWEEN visits. And what better way to do that through Essential Oils? Think of Essential Oils as another "tool" in your arsenal of health and well-being. Essential Oils help patients manage their self-care and become proactive in their own health. Essential oils can also help your patients reduce their toxic load and they can support sleep, the immune system and more. My naturopath introduced me to Essential Oils and I will be FOREVER GRATEFUL. They have literally changed my life. Now, I've reduced my toxic load by making most of my own cleaning and health/beauty products. And I turn to Essential Oils for sleep support, mood management, immune support and much more! They are cost effective and have no side effects! So if you are a Naturopath who wants to EMPOWER your patients to be pro-active in their own healthcare, email me at lovemyoils15@gmail.com and let me send you FREE samples of Therapeutic grade essential oils. I can help you EASILY incorporate them into your clinic and show you how to earn a nice, passive, residual income as well. This is what I do! (And you'll be joining a team of naturopaths and chiropractors committed to alternative health). DISCLAIMER: The following statements have not been evaluated by the FDA. The information presented is not intended to diagnose, treat or cure disease. Always consult with a medical professional. A complaint I've heard from many wellness professionals, especially Chiropractors, is that they don't fully know how to support their patients BETWEEN visits. I mean, you can only do so much, right? You see them for 15-30 minutes, give them an adjustment and then they're gone until next month. You know the importance of self-care, reducing their toxic load and nutrition but how are you going to give them the tools they need to stay healthy between visits? By incorporating essential oils into your practice you are empowering your patient to take control of their own health. And they'll love you for it! You may just be starting your practice, in which case you are competing with all of the other established chiropractors trying to attract patients. Wouldn't it be nice to find a way to ATTRACT patients to you business? I'm sure most Chiropractic schools don't go over the business aspect as much as they should. Incorporating essential oils into your clinic can help you attract new clients. You or a team member can teach classes at your clinic (I'd be happy to help with this, especially if you live in Albuquerque, NM). Studies show that most people are interested in alternative health. Especially with the rising costs of health care and the side-effects of many drugs. Classes are an excellent way to gain public exposure and attract new patients! Or you may already have an established practice, but you are probably very well aware that when you don't see patients, you don't make money. You may be looking to add an additional income stream to your practice. Incorporating essential oils into your clinic is also a way to earn PASSIVE income. You don't have to trade time for money any more. (I can show you how to grow your business with essential oils, see below). In fact, many chiropractors and naturopaths on our team have retired from their practice because they discovered they can EARN more money with essential oils! Incorporating essential oils into your practice will give you an additional income stream! And a good one, at that. You can retail the oils in your clinic and make a profit that way. You'll quickly discover that many of your patients will come back for more of the oils/products. Then you, or a team member, or myself, can show them how to get WHOLESALE prices like you! They will love you for this. They can actively manage their own healthcare, receive discounts and get their products sent directly to them! In fact, my naturopath turned me on to essential oils and I'll be forever grateful. They've changed my life. Some of your patients (about 10%) may be interested in growing a business with essential oils. And I'm sure you have colleagues, coworkers or friends who might also be interested in growing their business with essential oils. Once you start building a TEAM you will quickly start realizing your dream of passive income! Popular essential oils for Chiropractors include; Deep Blue Rub (cooling and warming for problem areas), Past Tense (for tension relief), Balance (for grounding), Onguard (for immune support), Breathe (for respiratory support), Serenity (for sleep support) and DigestZen (for healthy digestion). Some Chiropractors who employ massage therapists are interested in having their therapists learn the AromaTouch technique. This can also help you differentiate yourself in the crowded market place. The Aroma Touch technique is a specific application of essential oils to create a feeling of overall wellness. I can help you get started with essential oil selection, tips for easily incorporating them into your clinic, training (for yourself and employees), marketing, teaching classes and much more! Would you like to try some FREE samples! DISCLAIMER: The FDA has not evaluated these statements. Today's talk (FREE for the next 24 hours) was great for anyone seeking to PREVENT Alzheimer's. Dr. Vincent Fortanasce has developed a complete program to help prevent Alzheimer's. It involves diet (includes a 28 day meal plan) , isometric exercisse as well as exercises for the brain and stress reduction techniques. I'm definitely checking out this book! NOTE: The information contained in this post is not intended to diagnose/treat disease. The statements have not been evaluated by the FDA. Please consult with a physician regarding any medical information. Mary shares a success story using Coconut oil with her husband. Her husband was "too far gone" to qualify for a clinical study but after trying Coconut oil he qualified. She also talks about trials with MCT oil (coconut oil is a great source of MCT oil). She also stressed that Alzheimer's is called "diabetes of the brain" most likely due to excessive sugar in our diets. The brain uses glucose for fuel. However, MCT produces ketones and ketones can be used as an alternate energy source for the brain. -Add coconut oil to your diet daily (start with small doses, 1/2 teaspoon) Take with food. Increase every 2-3 days. People with Alzheimer's may need to work up to 4-6 TB a day. -Buy MCT oil (larger dose of MCT, than coconut oil) It stays liquid unlike coconut oil. -Drink coconut water even though it has no coconut oil. Has other benefits. -Try coconut milk. Make a drink by diluting with water, or coconut water. About a 1/2 can equals a Tablespoon of coconut oil. *The statements in this post have not been evaluated by the FDA and should not be used to diagnose and/or treat disease. Always consult with your physician. Day 2 has TWO great videos available for FREE viewing for 24 hours regarding supplements that can help prevent or treat Alzheimer's. Rhodiola is another supplement I'm interested in. I'm definitely checking out this book by one of the speakers! This video is only available for the next 24 hours for FREE! I learned a couple of things that I plan on doing! I have a family member with Alzheimer's and want to know what I can do to PREVENT it. Please share this information! I personally have a family member struggling with Alzheimer's disease so I'm very interested in this FREE webinar starting September 21st. There will be 14 doctors speaking on various aspects of Alzheimer's.